Missed our webinar? No worries. Watch the recording of our presentation and find out how to empower teachers to bring curriculum to life. 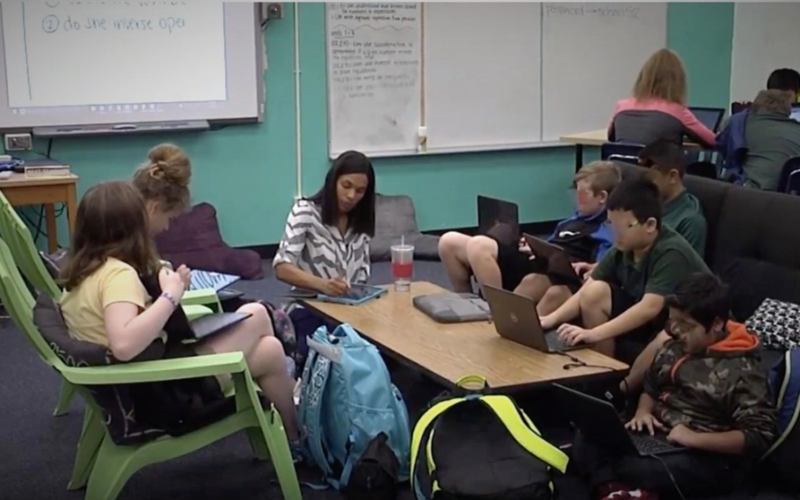 In a teacher’s dream world, every lesson is an opportunity for authentic student engagement, real conversations that inspire collaboration between students and their teachers and peers. While many classrooms have already adopted wireless display to untether teachers and be agile, mirroring content is really a very minor part of what ScreenBeam wireless display can do. On March 28, Actiontec ScreenBeam’s Sr. Manager Strategic Alliances, US Edu, David Lopez, and Jessie Boyce, Microsoft Innovative Educator Expert teamed up to talk about the many benefits – some unexpected – ScreenBeam wireless display brings to the classroom. Using personal experiences, the two shared actionable ways teachers can amplify the value of this basic but innovative feature. For example, throw away your document cameras! Using the Webcam feature in your mobile device, in combination with ScreenBeam, allows you to stream student work from their desks to the entire classroom, and avoid students feeling like they missed out on something fun. David also provided a live demo of ScreenBeam’s newest solution – Classroom Commander. Solve wireless teaching, interactivity and classroom orchestration challenges with the only Windows 10 orchestration solution endorsed by Microsoft. You can watch the full recording here. Enjoy!